Discussion in 'Arts and Graphics' started by Nightfall Alicorn, Feb 26, 2014. 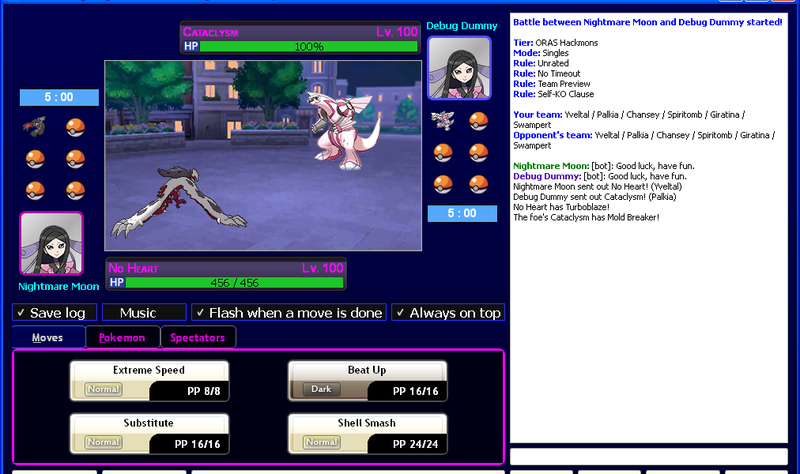 Nightfall Alicorn Left Pokémon Online, most likely not coming back. New menu bar and right-click menu colors. 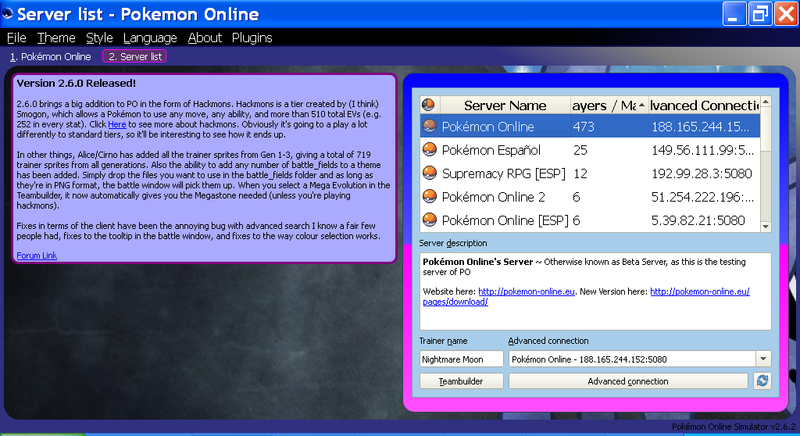 Find Battle, Reconnect, Register, Exit and Send buttons styled up. HP bars in battle now has new color. A huge tidy up of the default.css theme file. Those that are new to theme making are welcome to edit the file since it should be a lot easier with stuff ordered and grouped alphabetically now. "C:\Documents and Settings\Your User Name\Pokemon Online\Themes"
Take note of the highlighted text which is your Windows login name. Both downloads contain the same theme, just different method of unpacking it. I've added a .exe self extractor in case anyone struggles with opening the .zip version. Just copy the file location from between the quotes above, in the extract to box when you open the .exe version and then click extract. Images in this theme belong to their respective artists/owners and not to be used for any form of profit. In other words, this theme is free only. Theme created by Nightfall Alicorn. The .exe Self Extractor was created with 7zip, which is a free file compression tool I use. It can be found here if anyone wants to check it out. Most images were edited with GIMP, which is a free imaging software tool I use. I can be found here if anyone wants to check it out. Color scheme is so perfect, my favourite blend of colors, ponies aren't exactly my cup of tea. Regardless, you did an amazing job. Hope to see you post more. I've only got Windows XP, but the steps should be the same for the newer ones. I'm afraid I don't have a Apple computer though, so I don't know how to install it on that, sorry. 1 - Find the location of Pokemon Online's program files folder. By default, it should be under "C:/Program Files/Pokemon Online". Note: If your going through "My Computer" and "C drive", the files will most probably be hidden. But you should be able to get to the folder by the file tree in "Windows Explorer" on the left. 2 - When ya found the folder, inside it there should be another one called "Themes". Take care not to touch anything inside these folders as it could stop Pokemon Online from working. Inside the "Themes" folder, there should already be: "Classic", "Dark Classic" and "Shoddy". 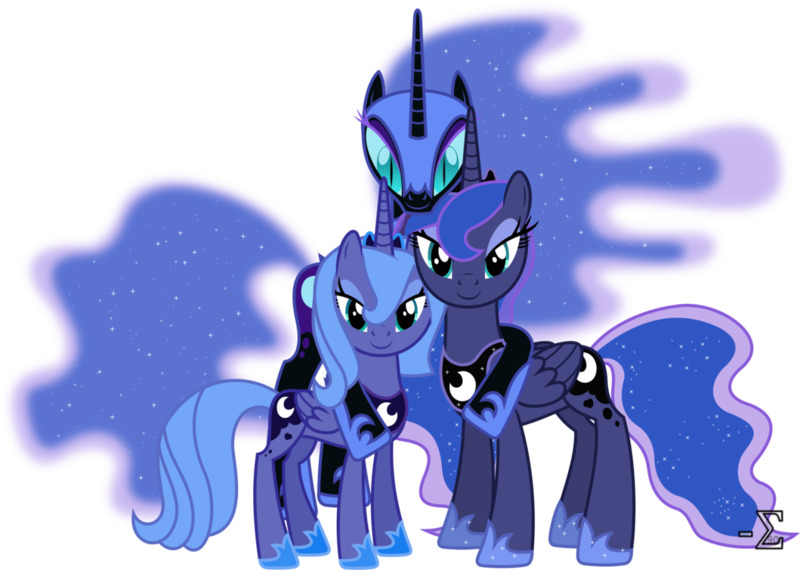 3 - With the downloaded .zip file you got from the link above, there should be a folder inside called "Princess Luna". Just copy that folder inside the "Themes" folder. 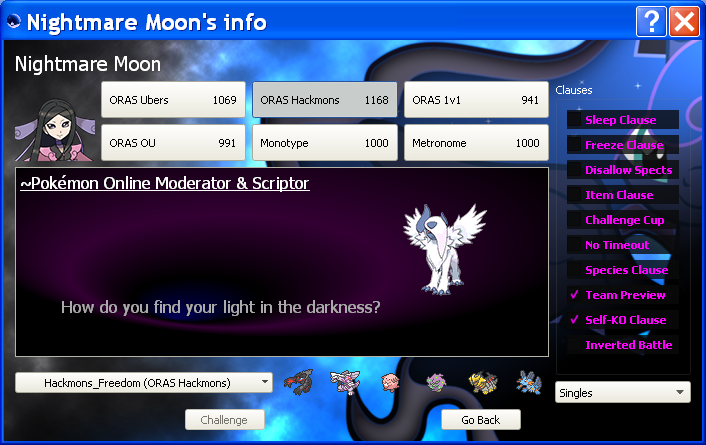 4 - Startup Pokemon Online and then on the menu bar at the top, click on Theme and then the installed Princess Luna theme. - Replaced backgrounds with highest HD versions I could find. - New wallpaper for Team Builder. - Updated channel icon with nicer colour. 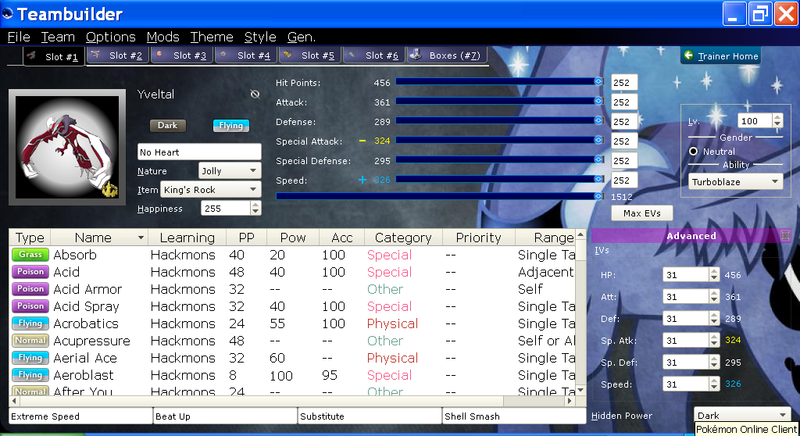 - Removed unnecessary sprites that just duplicate data from Classic theme. Lel if nothing else Im stealing those buttons, k? Downloaded. I use a Mac, but Windows XP is still the master race. Windows 8 is bad. Go to your applications folder, or wherever you shoved PO when you downloaded it. I think I suggested in a topic some time back about those buttons, I've edited, being used to replace the ones on the Classic theme. Since PP on Classic theme is hard too see on Normal type buttons for example. I was bored so I decided to have a play around with the styling and tidy up the default.css theme file. All update changes are mentioned in the first post in this thread with the download links added and updated screenshots. I've kept the last version listed in case some don't like the new styling.